Wow! 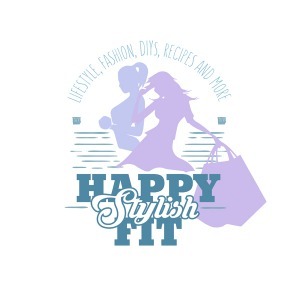 A few days ago marked 1 full year since Happy Stylish Fit started, and now more than ever before it feels like the new year is a fresh start at a new life. Making the switch to working from home and looking after a new puppy is going to bring a whole new life for me. I’ve had some slightly panicked and worried moments where the full weight of my decisions hung around, but at the end of every day, I’m really excited for what’s to come in the new year. I’m so excited to finally have the time to keep up a regular exercise routine, spend more time with Matt and the dogs, and put more time and energy into building Happy Stylish Fit. Even if you aren’t in the middle of a big life change like I am, now is as good a time as any to start fresh and decide to live life how you want to. With that in mind, I’ve brought you 7 Tips to Improve Your Life for the New Year. Start your day off right by building a morning routine that works for you. Any of my close friends can tell you that I’m hard to wake up in the morning – what can I say, I love my sleep! 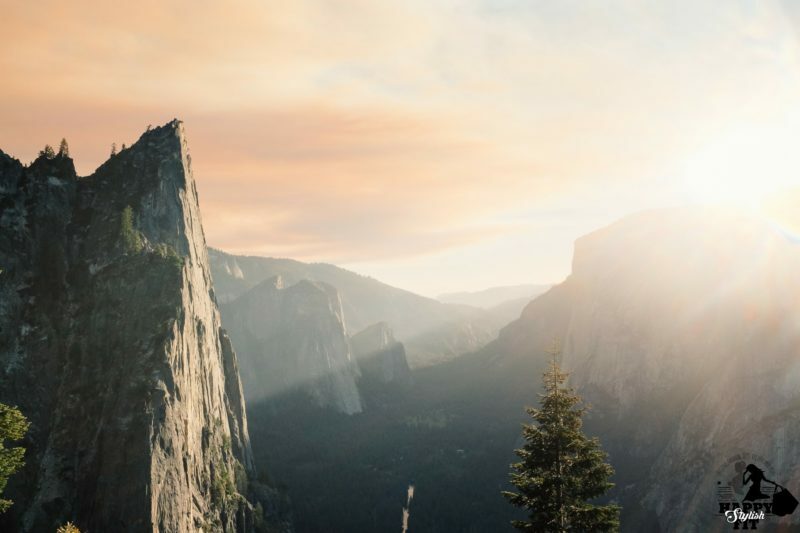 This makes it hard to establish any changes in the morning – or any brain activity really – but I also thrive and feel so much better when I start my day on a positive note and have time to go through my routine in the morning. To prevent setting myself up for failure by trying to overhaul my mornings all in one go I like to make a bunch of small changes over time. First, you can start with using the snooze button less, next you can make a quick breakfast to have on the go, and continue to make small changes after you’ve gotten good at keeping up with your first adjustments. Bonus tip – do as much as you can the night before. I like to prep lunch, get my purse ready, and have my outfit chosen for the next day before I go to sleep. One of the biggest differences for me with 2016 is that I started to “read” regularly, and by “read” I mean listen to audio books. I may have veered off of my balanced 2016 Reading List and dove head first into self-help type non-fiction, but I think I’m the better for it. Through reading you’re able to focus on learning about the things you’re interested in and building up your knowledge where you want to rather than mindlessly watching tv – not to say there’s anything wrong with some good ole Netflix binging!. We can all get sucked into our daily routines, wake up, go to work, spend time with friends and family, and repeat. Why don’t you break up the cycle and invest in yourself! Have you thought of starting your own business? Start planning for it and do it! Or maybe you’re really into cooking but haven’t done much with it lately? Sign up for a local cooking class, even if you do it by yourself. Or maybe you’ve thought about getting a pet? Visit your local animal shelter and see if you can walk some dogs and learn about the adoption process. Whatever your wants and thoughts may be, embrace them and step outside of your comfort zone by trying something new and investing in yourself. As you may remember from my Tips for Time Management post, I’m a big list maker. They help declutter your mind and allow you to focus on your priorities to get things done. Not a big planner person? Try making a basic to-do list of things you need to get done over the week, or a list of what you need to do for an upcoming event and try it out. If it’s not your jam then no harm no foul, but you may end up finding that it helps more than you thought it would. Yes, mindfulness may seem too “woo-woo” for you, but it has some great benefits that are tough to argue. Do you have trouble falling asleep at night? Some simple meditation techniques can help with that. Find yourself feeling anxious and worrying too much? Mindfulness can help with that and many more things. If you want to try it out but have no idea where to start try Headspace. I’ve been using it off an on for over a year and it really helped me to learn the techniques. Want to learn more about mindfulness? Stay tuned for a mindfulness post coming February. Setting aside self-care time is so so important! You can’t be of service to anyone else if you’re running yourself ragged and feeling completely run down. Set aside time every week for a little pampering. Everyone’s different and will like to do different things for self-care time, but the important thing is that you do it. Schedule it, and stick with it. I’m a girly girl and love my weekly face masks and hair masks while I set out outfits for the coming week. You could also spend some time alone reading or journaling, or perhaps you’re artsy and want to spend some time on an art project. Stay tuned for some more ideas with a full self-care post coming the beginning of February. Sleep is one of the most important things you can do for your body. When you sleep it lets the body sort itself out. You detoxify, your body heals itself, and your subconscious sorts through some of your “stuff”, and yes you really do need those 8 hours of sleep each night. I used to be someone that thought I ran just fine on 6 hours of sleep a night, only to have my mind blown by the difference a regular 8 hours of sleep a night makes. You feel better and are able to make better use of your awake hours. Try it out for a month and see the difference for yourself. There ya have it, 7 tips to improve your life for the new year. If you’re already doing a lot of these, then awesome! If you’re not, try out a couple of the tips and see the difference it makes in your life, and please let me know if you try some! I’d also love to hear your tips to improve your life, please leave a comment below. Great tips Jannine! My fave is the mindfulness one, I am such an anxious person (my dog even gets that vibe from me haha) need to get myself back in yoga! Dogs often notice things before us! Glad you enjoyed the tips Ashley, good luck with 2017 goals!